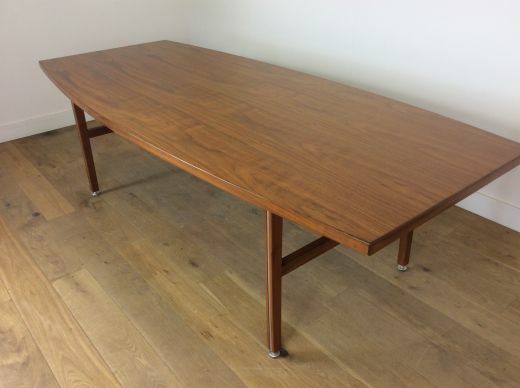 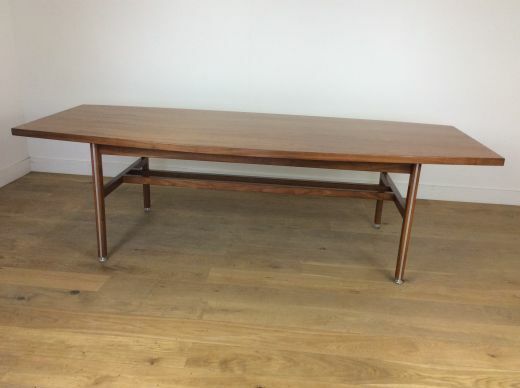 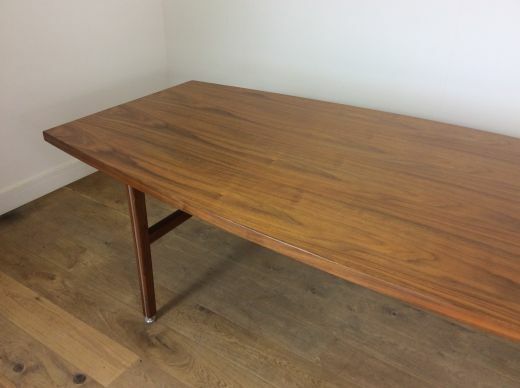 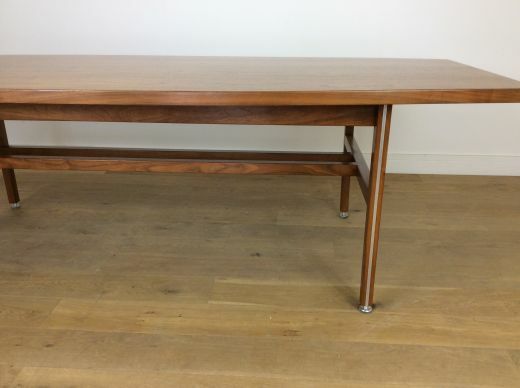 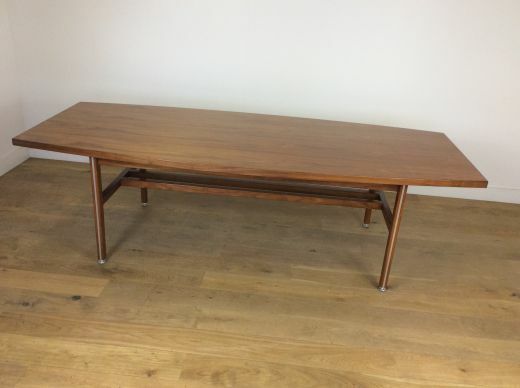 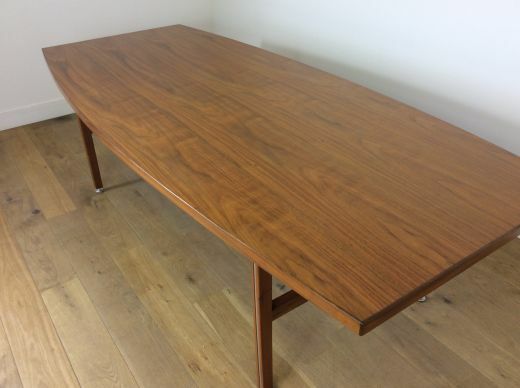 Midcentury 8ft long conference table in a beautiful walnut. 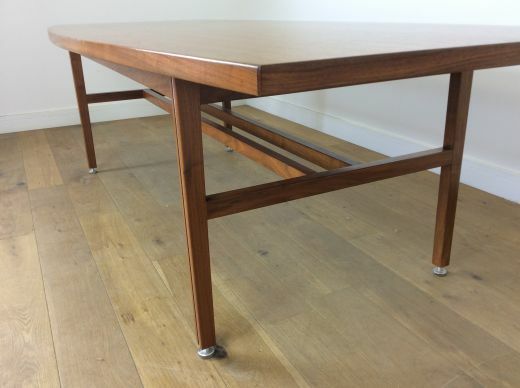 raised on square column legs with inset aluminium with cross stretcher. 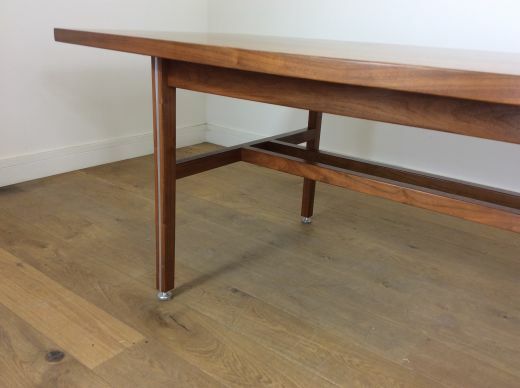 height adjustable feet for perfect balance.